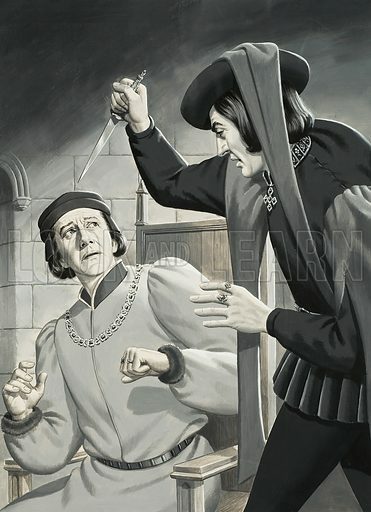 Richard III (to be) about to kill Henry VI. Original artwork for illustration on p9 of Look and Learn issue no 592 (19 May 1973). Available worldwide for immediate download up to 3,406 x 4,698 pixels.